We guarantee 100% accuracy on all prescriptions or they will be remade at no charge. Prior to leaving Rx-Safety, all prescription eyeglasses undergo a stringent quality control hand inspection. The lenses are checked at four different stations for accuracy*. We pride ourselves in our workmanship. Accurately filling your prescription is our number one priority. In the unlikely event that our quality control measures fail, we will promptly and courteously remake the lenses. When you purchase any Rx-Safety frame without lenses or non-prescription stock item, you have 30 days from the date you receive the product to return the product (with no questions asked) for a 100% refund, less the shipping costs. Returned products must be in the original packaging and condition or a 25% restocking fee will be deducted from your refund. If you charged your purchase, you will receive a credit within 14 business days of our receipt of your returned product. After 30 days, you may exchange the stock product for a different product of equal or lesser value. Any new item(s) will be shipped within 5-7 days of our receipt of your return. Please follow the steps below to return your product. All returns require a Returned Material Authorization (RMA) number. Please contact our customer service representative at 1-866-653-5227 to obtain an RMA number prior to returning product. Products will not be accepted for return if not accompanied by a valid RMA number, which must be clearly marked on the outside of the package or included in the package. Products returned without a RMA will be sent back to the customer as is. No prescription order can be canceled once it enters our lab; however, if you wish to cancel your order before it goes into the lab (usually in less than one business day), there is a $15 cancellation fee to account for clerical time and card processing fees. This $15 fee also applies to any changes to an order (prescription or non-prescription), including a change to shipping method or product quantities. 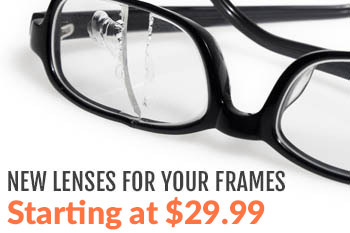 All prescription lenses are special orders, and are therefore non-refundable. However, we understand there may be times you want to change the frame even though the prescription lenses are perfect. 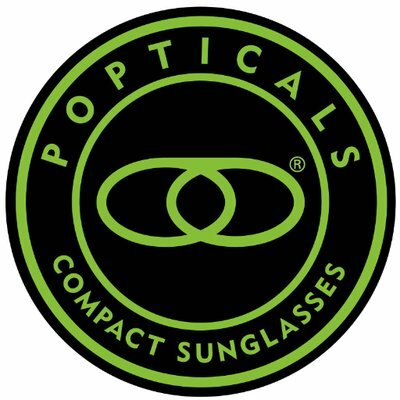 If, within 30 days of receipt of product, you wish to exchange your prescription glasses for a new pair, we will apply 50% of what you paid for the glasses (not including shipping costs) towards a new pair. Please follow the steps below for replacement. In addition, new shipping charges will apply. Step 1: Log into your Rx-Safety.com account. After logging into Rx-Safety.com, click on My Account, you will be taken to your Account Profile. Step 2: From your Account Profile, find the order you wish to return located in your Previous Orders History. Step 3: Click on the order that contains the item that you wish to return. Step 4: You are now looking at the Order Summary. Click the “Need to return this product” link, for each item you wish to return. Step 5: Once on the RMA detail page, you will need to select the following information from each drop down menu. You will need to tell us: Quantity (Qty), Reason for return, and Preferred Refund Method (if you would like a refund or replacement order shipped) and any additional comments regarding your return. Step 6: Once you’ve selected an option from each drop down menu, click the Submit button. Step 7: You will be issued an RMA number. Please be sure to make a note of the RMA number, as you will need it to track the progress of your return. Step 8: Once your return information has met Rx-Safety.com Return Policy criteria, you will be given further instructions regarding how to finalize your return request. Please call the number listed below and one of our helpful customer service representatives will be more than happy to help you with your return. Rx-Safety is not responsible for products we do not receive or products damaged in shipping. For incorrect orders or items that are sent to you in error, please contact Rx-Safety immediately upon receipt of your order. Our courteous staff will correct the problem. All Rx-Safety frames are fully guaranteed against manufacturer defects (material and workmanship) for one year from the date of purchase. This does not cover negligent use of the product (including scratched lenses). Rx-Safety will repair or replace any defective merchandise at no charge. * 100% accurate to tolerances mandated by law or by common practice.